Mr. Pierson served for three years as the Artistic Director and conductor of the Brooklyn Philharmonic. The New York Times called Pierson’s leadership at the Philharmonic "truly inspiring," and The New Yorker's Alex Ross described it as “remarkably innovative, perhaps even revolutionary.” Pierson has also appeared as a guest conductor with the Los Angeles Philharmonic, the Chicago Symphony Orchestra, the Hamburg Symphony Orchestra, the London Sinfonietta, the Steve Reich Ensemble, the Orchestra of St. Luke's, Carnegie Hall's Ensemble ACJW, the Tanglewood Music Center Orchestra, the New World Symphony, and the Silk Road Project, among other ensembles. 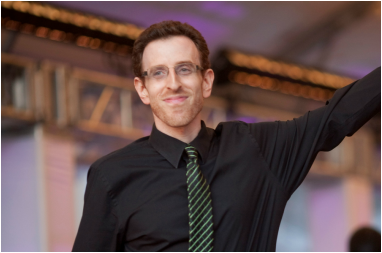 He is Principal Conductor of the Dublin-based Crash Ensemble, co-director of the Northwestern University Contemporary Music Ensemble, and has been a visiting faculty conductor at the Indiana University Jacobs School of Music and the Eastman School of Music. He regularly collaborates with major composers and performers, including Yo Yo Ma, Steve Reich, Dawn Upshaw, Osvaldo Golijov, John Adams, Augusta Read Thomas, David Lang, Michael Gordon, Donnacha Dennehy, La Monte Young, Iarla Ó Lionáird, and choreographers Mark Morris, John Heginbotham, Akram Khan and Elliot Feld.